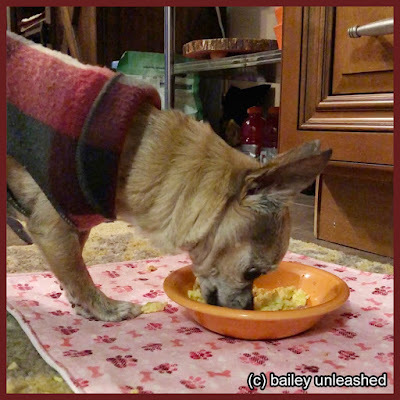 Sounds like Bailey is doing better with her eating, that is very good. She looks happy eating the scrambled eggs. we went to our niece's home this year and it was wonderful! Yours sounds like it was delicious!